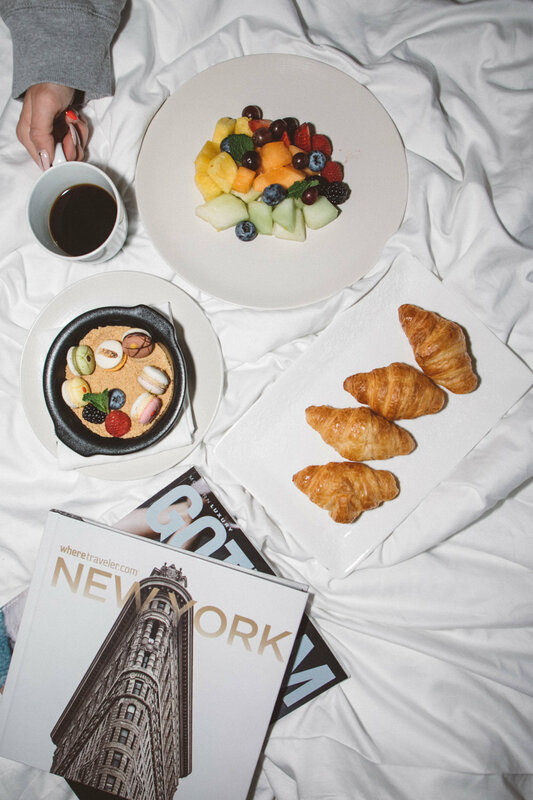 I loved staying at Innside New York Nomad during NYFW. The location is super central to everything, the space is large and beautiful, the views from the rooms are incredible, and the beds are seriously the most comfortable ever. Also, everyone working there that I interacted with was super sweet, and they gave me an endless supply of water bottles, which is so important (stay hydrated, ya'll!). My girls and I spent quite a bit of time in the lobby co-working because the space was super comfortable, and we could conveniently order snacks from the restaurant. The windows in the rooms are floor-to-ceiling, and I loved sitting and looking out. The elevators are covered in fun wallpaper and there was always upbeat electronic music playing. The bar/lounge has a great deck, and every floor has a beautiful seating area by the window. I definitely recommend staying here next time you're in NYC!